Cheri Blackmore and Diane Young were legal assistants at Vaughn & Bowden (V&B) in Mississippi. They sued the law firm, saying their health deteriorated significantly during their employment because of exposure to toxic mold, a chemical used to kill the mold, a gas leak and fumes from raw sewage backups in the women’s restroom. The employer argued this was a workers’ comp matter. A trial court denied V&B’s motion to have the lawsuit thrown out. V&B took its request to the Mississippi Supreme Court. To draw a distinction, the court noted several cases in which it found there was sufficient evidence to prove intentional harm and some in which there wasn’t. Example: An employee was injured twice by the same machine. The first time, he was left without a right hand or use of his right arm. The second time, the machine claimed three fingers on his left hand. The Mississippi Supreme Court said this was, at most, a case of gross negligence. But that’s not enough to prove intentional harm. This wasn’t an exception to workers’ comp exclusivity. Another lawsuit had the opposite outcome. Management specifically instructed other employees to keep all information regarding an adhesive away from line workers and to remove safety data sheets. Several line workers were hospitalized, some with spinal-related injuries that resulted in numbness in their lower extremities. The court said this case demonstrated outrageous action on the part of the employer which exhibited a “profit-motivated disregard for its employees’ safety” as well as an actual intent to injure. The lawsuit was allowed to go forward. The two employees alleged in their lawsuit against V&B that they were exposed intentionally to toxic mold, to a toxic chemical designed to get rid of the mold and to poisonous fumes from a sewage leak. Although the workers claim they were injured when V&B failed to remediate the mold, the claim didn’t assert V&B acted with actual intent to injure them. “It is not possible that the defendants were allowing the mold to exist with the intent of injuring the plaintiffs while at the same time attempting to destroy the mold … the application of the mold killer spray clearly was not done with any ‘actual intent’ to injure the plaintiffs,” the court wrote. “The plaintiffs in this case have failed to state a claim for which relief can be granted. The complaint cannot support the argument that the defendants acted with the actual intent to injure the plaintiffs,” the court wrote. For that reason, the sole avenue of relief for these two employees was in a workers’ comp claim. Their intentional harm lawsuit was dismissed. It seems pretty rediculous that this case had to make the state supreme court. Clearly there was no basis for intentional harm since they made an attempt to destory the mold (an unregulated substance). Any idiot that is an attorney and knowingly tries to destroy mold is looking for trouble. They should know that spraying one toxin on top of another toxin is going to inflict serious bodily harm. Did we read the same story? What attorney tried to destroy mold? and applying a mold killer to the mold is a step in the remediation process – you want to kill it before it can become airborne. The area should have been sealed off during this process, and the employees moved to another work place until it was completed. Other than that, I believe that the court got it right – there was no intentional harm committed by the company. I am sorry but removal of all of the contamination is the correct process not spraying chemicals on toxins. 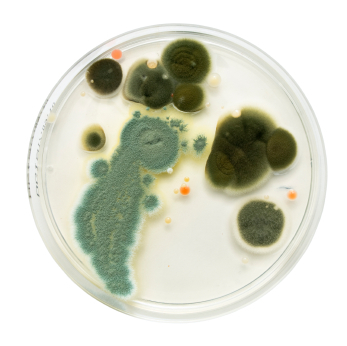 Where there is mold there are many other components and contaminants. There is no one spray solution to handle contamination. Removal of all contamination is the correct process. Even dead mold will make you just as sick as live mold. Therefore it does not work. What if you have requested mold removal on 4 occasions to your facilites manager and supervisor and has not been done in 6 months and have suffered several lung infections, coughs, headaches etc. In the last 5 months ? Isn’t that negligence? What if the building you’re in has been remediate do 4 times in a 2 year span and still has mild and elevated levels of CO2??? This law firm was likely trying to save money and was reckless spraying a pressurized mold killer. If you can see mold or a musty odor is present and is less than 10 square feet, it can be safely cleaned up. Federal buildings evacuate workers from areas that mold is found, but big $$ keeps judges from awarding damages in almost all other types of real estate.